As I continue my countdown to "Ghana's Fashion Month" -October. 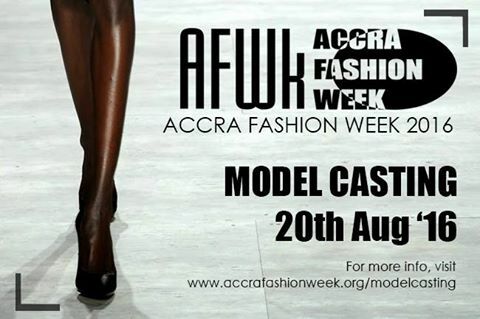 I bring good news to all male and female models who wish to be part of the maiden edition of Accra Fashion Week at International Trade Fair Center in Accra. The organizers is inviting all models to attend a one day audition where about 50 models would be selected to walk on the runway for local and international designer.